How to plan for Children’s College Education? Education for children is a very important goal in life. We wish to make our children professionals so that they can lead a good life. Many parents wish their children to become an engineer or architect or doctor or lawyer or chartered accountant. Somebody would like to send the children for foreign education. Education is a very costly affair. The fees increase is higher than the normal inflation rate. Basic requirement for a children’s education plan is that the parent should be able to create a corpus for meeting the higher education needs of the child. Regular savings to the goal is required from the time when the child is a kid. Along with that there should be protection against any event like death of the income earning parent which can derail the studies of the child. If the parent is alive he or she can save systematically towards the goal and achieve it. If he or she passes away in between then also the goal has to be met. So insurance is required to protect the goal. Therefore it is important that proper planning is done to ensure that the required amount will be available at the start of higher education either through savings or insurance cover. There are life insurance products which combine savings plan and insurance together. These plans typically ensure that the child gets the maturity benefits at the time of higher education even if the parent passed away in between. Insurance plans help thrift savings and are good for people who are not disciplined in managing money. On the flip side life insurance plans are costlier due to high commission rates and management charges. If you are disciplined in managing your money it is best to buy term insurance and invest in mutual fund SIP. If you are a conservative investor you instead mutual fund SIP you can take the bank recurring deposit route also. But the returns might be lower and hence you will have to save higher amount every month. In order to create a savings plan for meeting the college cost, there should be a fair idea of the current fees structure of a particular course. Let us assume that for 4 years of engineering education the total fees and expenses comes to around Rs.6.5lacs now. If the child is expected to go to college after 10 years, the total cost could be about Rs.16.86lacs assuming an inflation of 10%p.a. If you have to start saving today for getting this amount after 10 years, every month you should save Rs.8006 for 10 years. This based on the expectation that you will be able to get return of 12% per annum. If you cannot save this much every month you should plan to save at least 40% or 50% of this amount. When the child reaches college you can take an education loan to fund the balance. Ideally for a 10 year time horizon the monthly saving should be invested as 60% in equity mutual fund SIPs, 30% in debt mutual fund SIPs an 10% in bank RD account. Parent should also take a term insurance cover for Rs.543000 or more for the10 year period. This will ensure that even if parent dies in between, the insurance proceeds can be invested in a bank FD. At the time of child reaching the college the value of the FD plus the value of the savings till the death the parent will be equal or more than the required amount. This is just an example to show that through proper planning you can ensure that the required amount will be available at the start of higher education either through savings or insurance. The plan will vary depending upon the period of the course and factors like expected return & inflation. It is essential that every parent do similar plans and follow so that they can ensure that their child is not deprived of higher education. PrognoAdvisor.com’s Online Comprehensive Financial Planning can help you plan for your kid’s higher education and other goals like Retirement, children’s marriage, buying a home, buying car, going for vacation etc. 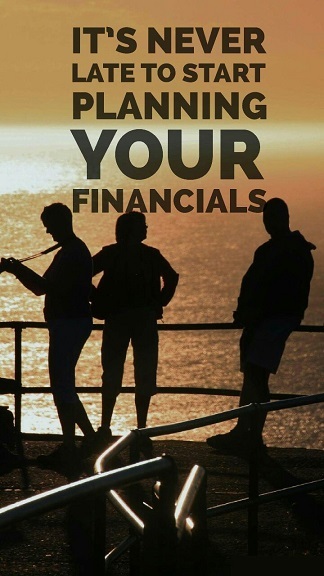 It helps you with advice on managing loans, controlling expenses and optimising insurance. PrognoAdvisor.com is a SEBI Registered Investment Adviser Company and does not sell any products. Its unique advisory process which combine cash flow planning and goal planning ensures that the plan is practical. Register today to talk to our advisor.